Two expandable drink holders. Two zippered pockets. Flat front pocket with reflective trim. Two spring-lock carabiner hooks hold shopping bags, purse, pet's leash or toys. 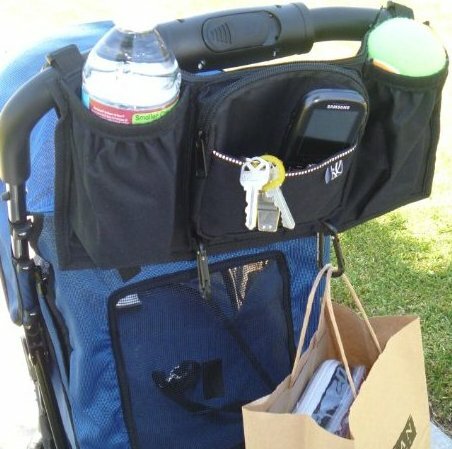 Includes a removable, adjustable strap that can be used to carry the organizer around your waist or over your shoulder.